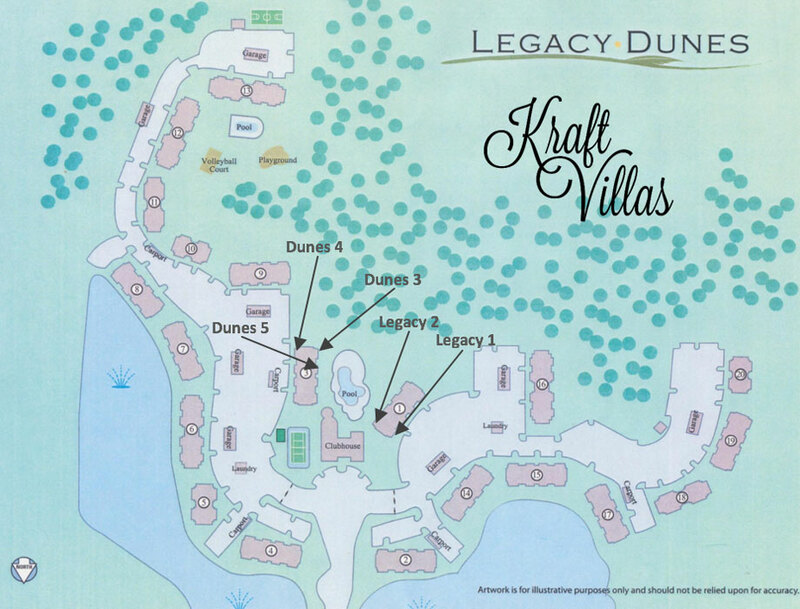 Kraft Villas are located in the Legacy Dunes condominium community located 6 miles away from Disney World on the West side of Kissimmee. Legacy Dunes is located of highway 192 which is a main connecting road for the area. It is close enough to be easy to access the most popular activities in the area yet far enough for your own space to relax.